The Roseland Ballroom first opened in Philadelphia in 1917. It lasted all of two years before moving to a spot about a block away from this location in 1919, a refugee from Philly’s blue laws. This location first opened in 1922 as an ice-skating rink, converted to a roller rink, and became the Roseland when the first NYC location was torn down in 1956. 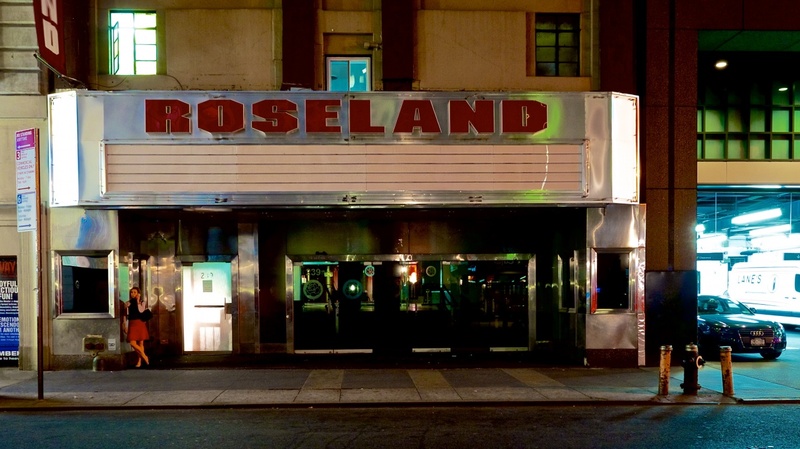 The Roseland finally closed in April of this year, having spent time variously as a ballroom dancing venue, a jot jazz joint, disco nights, host to movie premieres, gay circuit parties, and musical acts of nearly every genre. I took this image about a week or so after it closed in April. Available in my galleries here.